Types of Medical Errors | Raw Law | Law Offices of Adam M. Thompson, P.C. Medical errors are estimated to cause the death of over 440,000 people each year in the United States alone. While no definitive database of errors made across the nation exists, repeated studies have combed over reports from hospitals and identified common types of medical errors. In 2013, "Time" magazine reported that misdiagnosis was the most common medical mistake in the nation, followed by medication errors and surgical mistakes. Many of the broad categorizations of medical errors can actually include numerous sub-categories. For example, misdiagnosis can include wrong diagnoses and or failure to diagnose. Medication errors are particularly diverse, including errors such as forgetting to give a patient a dose in the hospital, prescribing the wrong medication or the wrong dose, prescribing a medication that is counter indicated by a factor like the patient's age, having the wrong medication or dose dispensed, and not ensuring a patient knows the correct way to take a medication. Surgical errors and hospital-acquired infections also account for a significant number of medical errors each year. 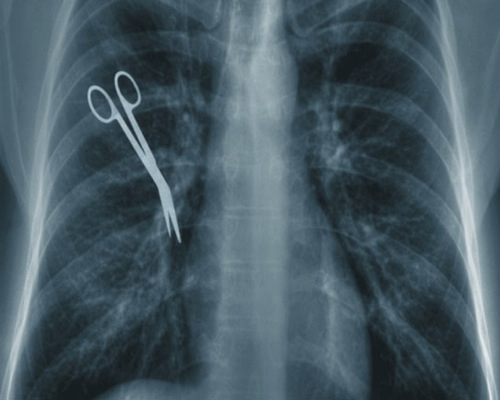 Surgical errors include errors such as leaving surgical supplies in the patient, doing surgery on the wrong site, injuring the patient during the procedure, and introducing an infection into the surgical site. Medical errors can happen at all stages of the medical diagnosis and treatment process. Patients and families must ensure that they keep an eye on everything and question every step. Double-checking medications and ensuring that they know exactly what is supposed to happen during surgery or during treatment is crucial. The healthcare industry as a whole has made great strides toward decreasing the number of medical errors committed in the United States each year; however, until the number reaches zero patients, and their loved ones, need to remain on guard. If you have been injured by a medical error, or believe that a medical error caused the death of a family member, consult with an experienced New York medical malpractice attorney as soon as possible. No amount of money is worth suffering from a medical error or suffering the loss of a loved one; however, you may be entitled to compensation that will ease the financial hardship caused by the error. Moreover, pursuing your right to compensation will also hold the negligent party accountable for the error and possibly prevent future errors.